Costa Blanca, brand new construction on Scenic Highway 30A. This unit was just completed. Costa Blanca is an exclusive low density building with only fourteen luxurious gulf-front condominium residences. Top-of-the-line finishes to include Sub-Zero and Wolf Appliances, quartz countertops, wood flooring. with outlets conveniently placed. 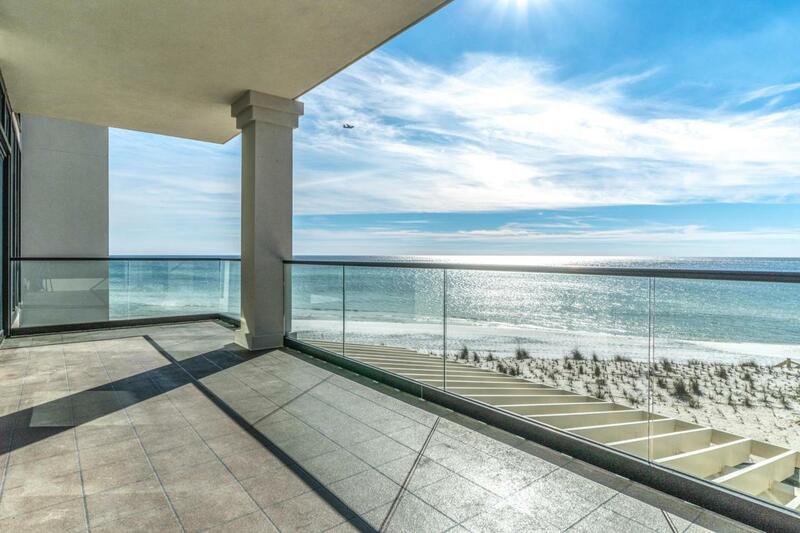 The floor to ceiling windows and gulf front master take advantage of the views. Unit 202 is a second floor unit with a large balcony to take in our gorgeous Sunsets. You can see all the way down the coastline while taking it all in. The other amenities include a gulf-front resort style pool, fitness room, lobby, separate owner storage, and covered underground parking. Pre-wired for sound internet and security. All dimensions to be verified by buyer.